This is the 19th consecutive year that South Africa has taken part in the competition. 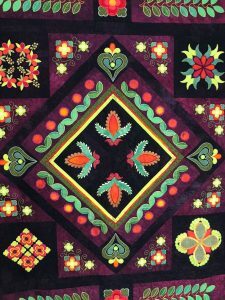 • There are categories for both Traditional and Innovative quilts with cash awards. • The minimum quilt size is 8,361 square cm’s (multiply the length of the quilt by the width). • May 24, 2019 is the closing date for Entry Form and .jpg images. 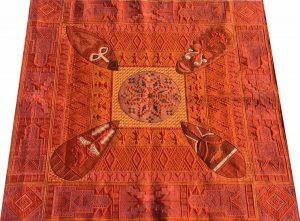 • Quilts must have been completed in 2017, 2018 or 2019. 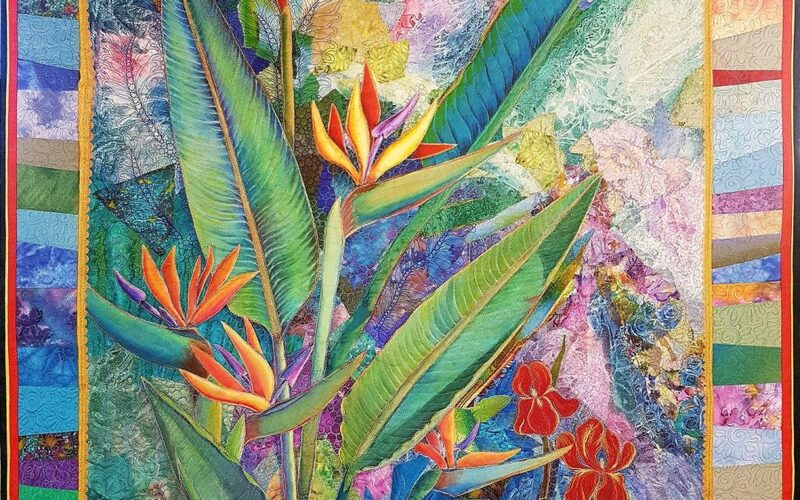 • Accepted entries will premiere at World Quilt New England in August 2019 and then tour to other Mancuso shows in the USA. For further information and Entry Forms please contact the South African Coordinator: Odette Tolksdorf: odetteT@iafrica.com and take part in this exciting international event. Phone/whatsapp: 074 1720544. Best Machine Workmanship, Innovative: African Sunset by Claire Wallace.